There are quite a few options these days for trailers that carry kids or dogs, luggage, groceries, and other relatively small loads. Trailers are nice because they can be detached when not in use, but most trailers can’t haul much weight and the ones that do suffer some design drawbacks such as incompatibility with many kinds of bikes. Conversely, there are quite a few cargo bikes that can haul bigger loads, but cargo bikes meant for a lot of weight can be difficult to load, are sometimes difficult to ride (sometimes due to the bike’s design, and sometimes due to the sheer weight of the bike itself), and require a lot of space to store. 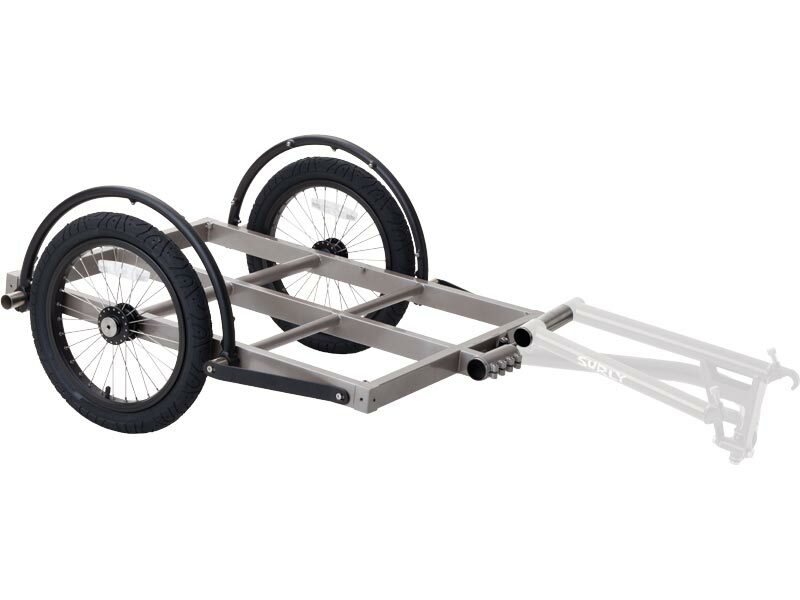 We felt we could help bridge the gap, so we designed two trailers meant to haul a lot, to be easy to use, and which would work with a bike you have already. You are looking at the Bill trailer. Bill is 63” long and 24” wide. It’s made out of TIG-welded 4130 Chromoly steel for strength and long life, with stainless steel hardware for corrosion resistance. The beds have threaded eyelets for bolting down decking, corner posts, or creating other custom accessories using readily-accessible materials from your local hardware store, lumberyard or home improvement store. The wheels are 16”, keeping cargo low to the ground. 16” wheels are also stronger than larger diameter wheels favored by many trailers. We designed our own hubs to meet the requirements of this frame. The rims are double-wall with stainless eyelets. The spokes are stainless steel, radially laced. Combined with smooth, easy rolling 1.95” tires, these are stout wheels designed specific to their purpose. Our hitch system is designed to be as universal as possible. This hitch will likely fit your bike. It works with full-suspension frames, disc brakes, rear racks and fenders. 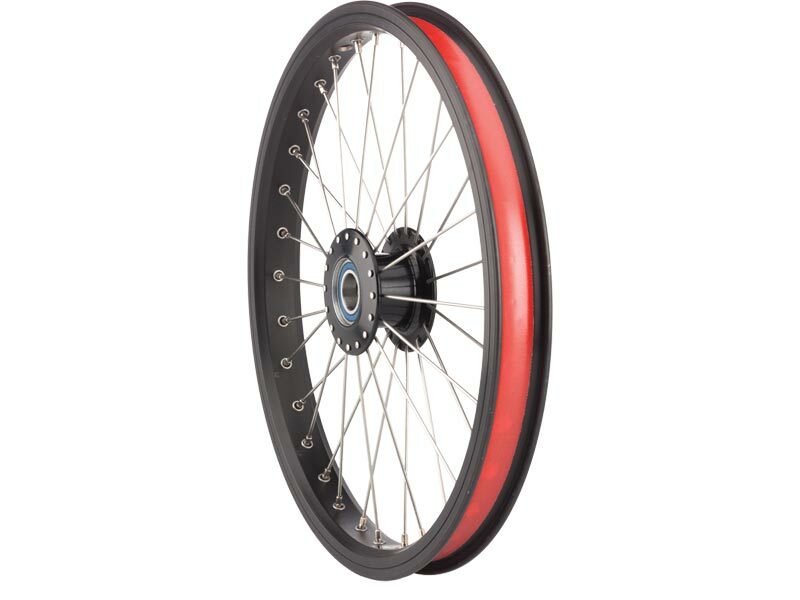 It adjusts to accommodate hub widths from 120 – 145mm and allows you to align the centerline of the trailer on the centerline of the bike. It will work with bikes that have wheels as small as 20” and as large as 29” while keeping the bed level with the ground. This is especially important when you are hauling long items that hang off the back of the trailer (lumber, tubing, ladders, etc.). 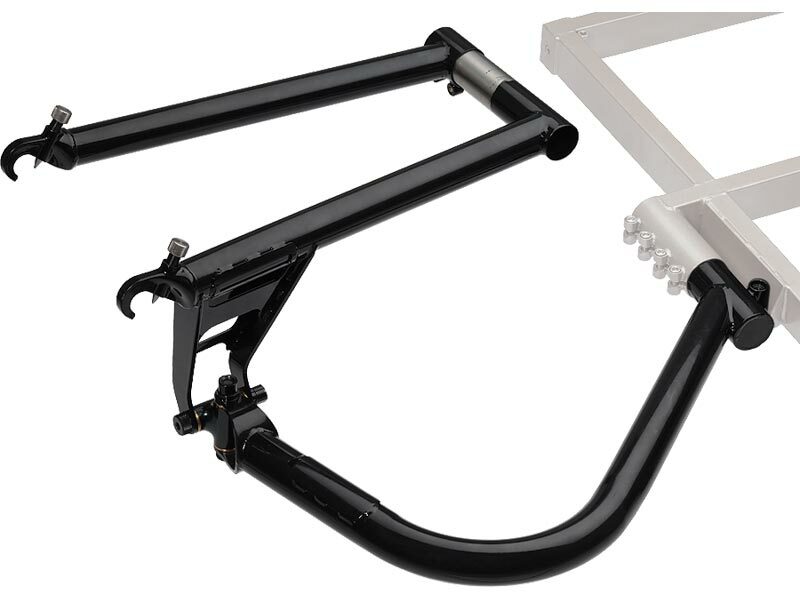 Our hitch will attach to your bicycle one of two ways: our direct mount Hitch Nuts or our Trailer Skewer. Our Hitch Nuts are 10 x 1mm threaded inserts that thread directly into any of our frames that come with our touring dropouts a la the ECR, Ogre and Troll. If you’re using a QR rear hub, we also have a skewer mounting system available. If you’re using a hub with a 3/8” threaded, solid axle… yeah we don’t have that. NOTE: the Bill and Ted hitch is sold separately. Remind your local shop to order hitch and the correct bed length. There are some things to learn about using a trailer like this to haul stuff. First, you’ll probably want to use a bike with gears. 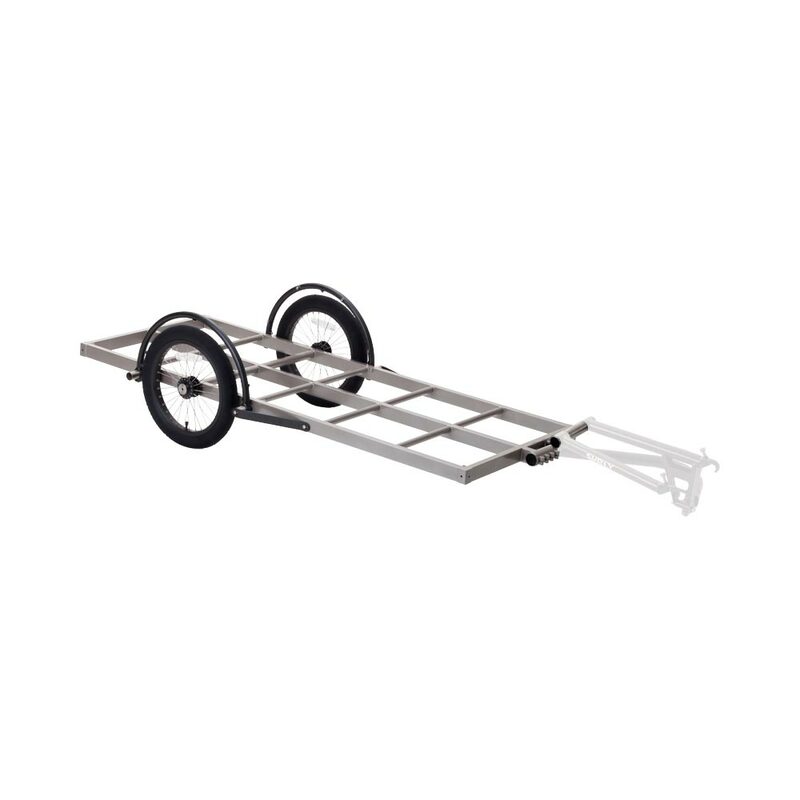 Sounds simple, but this trailer is capable of hauling a lot of weight, and as weight increases, so does the necessity for mechanical advantage. Learn to load it right. Center your load over the axle. Too much weight on the hitch (tongue weight), or too much weight hanging off the back will compromise your bike’s handling, make it harder to control and potentially damage your bike, the trailer, or you. Take these pointers to heart, and you’ll be able to haul all kinds of stuff with your bike that you may not ever have dreamed of. BT0002 300 lbs 37 lbs 63 x 24" 16"